30 boxes Sold wins a FREE Haddon full zip(adult sizes) with your name & number on it OR a Backpack with name/number on it!!! 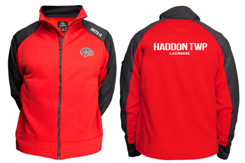 30 boxes Sold wins a FREE Haddon Twp full zip jacket with your name & number on it! !